Laserfiche recently introduced a human resources-focused package of prebuilt business processes as a part of the Laserfiche Business Process Library (BPL). This package provides the downloadable tools necessary for rapid process automation in key HR functions including new employee onboarding and benefits enrollment. 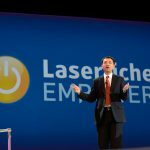 Laserfiche unveiled the package at the Gartner Catalyst Conference, Aug. 15-18. HR professionals simply select the desired process to download a configurable template and deploy in just a few clicks. Prebuilt processes can be configured to fit the needs of an organization—whether that means adding a mobile element to the process, or changing how an organization captures information or who approves it. At the end of each process, submitted documents are archived in accordance with a retention schedule based on compliance requirements. The BPL is available as part of Laserfiche 10, the latest enterprise content management (ECM) offering from Laserfiche. 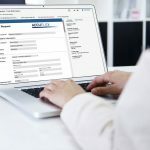 Users can select the desired process from the BPL to download process diagrams, workflows, template fields and reports, all of which can be configured to fit an organization’s specific requirements. In addition to the BPL, Laserfiche 10 includes embedded analytics and performance dashboards that give HR managers insight into workloads and staff performance. This information enables managers to evaluate employees from a holistic perspective and make strategic decisions.